The heavy wood door stood like a wall between me and the room I was about to enter. I ran my fingers along deep grooves that had been ornately carved in it. The door handle showed years of natural patina. I hesitated. It felt as if I should knock before I turned the knob. Brass hinges creaked lightly as I pulled the door open. Soft light pushing through a single stained glass window, revealed three short wooden pews centered in the tiny room. Sinking down in the back row, the gentle quiet settled over me. I had come here to pray. I visited that little chapel many times over the years, trying to find God, trying to figure out how to talk to God and this thing called prayer. 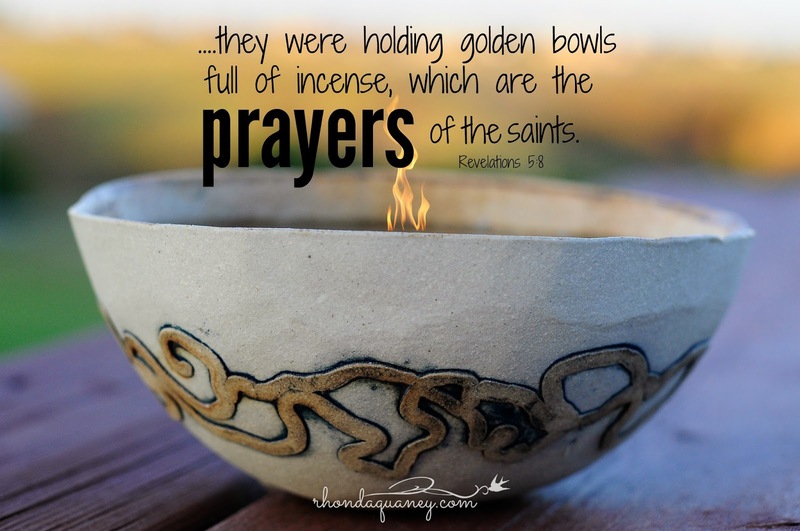 Decades would pass before I would read how our prayers are so important to God that He holds them in golden bowls. For me, prayer seemed mysterious, something Bible scholar types do or men in long brown robes who live in the mountains. You know, people who are trained, who speak well, or live a really good life, or who have nothing-else-to-do-ever. But I was in a desperate state and needed answers to things that were bigger than me. Going to a building where there were pictures of Jesus hanging on the walls seemed like the place for me to go to get an audience with God. The truth is, my journey with prayer is kind of rooted in pain. It seems like I am a slow learner who had to get my heart broke, before I found much need to talk to God. Indeed, my world had to shatter, I had to fall flat on my face in the mire of life with no energy to do one more thing in my own strength, before I looked up and called out to God. Even then, I’m not sure I believed that God cared to listen, but I hoped He did. My journey to learn how to pray is not easy to explain. Once I wrote a bit about impossible prayers. It is still one of the most frequently read posts on my blog. Not because the words are so eloquent, but because hurting people go to the internet and search “impossible prayers” and my blog post pops up on some search engines. That says a few things to me. First, it says that there are people who have big problems and thank goodness some of those people believe that God might have the answer. The thing I wish we could grab a hold of, is that God longs for us to communicate with Him. Mostly we make praying too hard. Call to me. I will answer you. I love that. In the most pure sense, prayer is just communicating with God. Communication always involves, two principals. Speaking and listening. The most important element of prayer is faith. Faith is not based on things that can be seen or understood. So in simple faith and pure trust we bring our words to God. Recently I was reminded of a prayer that I had prayed decades ago. I did not have a personal relationship with Jesus Christ at that time I prayed this prayer. I was pouring my heart out to God all the same and I can tell you with deep conviction, that I am seeing the answer to that prayer today. God knew me, and heard me before I even gave Him credit for existing, little long allow Him to be Lord of my life. That is the sweetest thing about God. Humans can deny Him, but it doesn't change His status as God. The Maker of heaven and earth. The Creator of all things seen and unseen. That is what makes prayer so amazing. Creator God wants to have His created one talk to Him. God wants us to have a relationship with Him. And His Word says that He wants us to be people of prayer. He wants His Church to be a House of prayer. Not a house of preaching. Not a house of singing. A House of prayer. It is possibly the most neglected and most needed thing in the church today. Seeing prayer answered that I prayed thirty years ago, reminds me that when I am gone from this earth, my prayers will remain. One of the most powerful and simple prayers I've experienced was one my friend Janie prayed over me. I was exhausted, over-committed and in a meeting that was taking more time away from writing. Weary, I asked her to pray for me. She didn't feel comfortable praying aloud. She said she didn't have the right words. Finally, with great hesitation, she began talking to God on my behalf. Her tender heart moved me to tears and it moved God to have mercy on me. I went home that evening and wrote a blog post as fast and as powerful as any words I've ever written. That seems like a small thing next to world peace, but the Lord seemed pleased we asked. So often we don't know how to pray, but we can ask the Holy Spirit, who knows what we need and He will pray for us. You should go read about that. It's beautiful. I also hold on to the verse where the father is asking Jesus to heal his son. 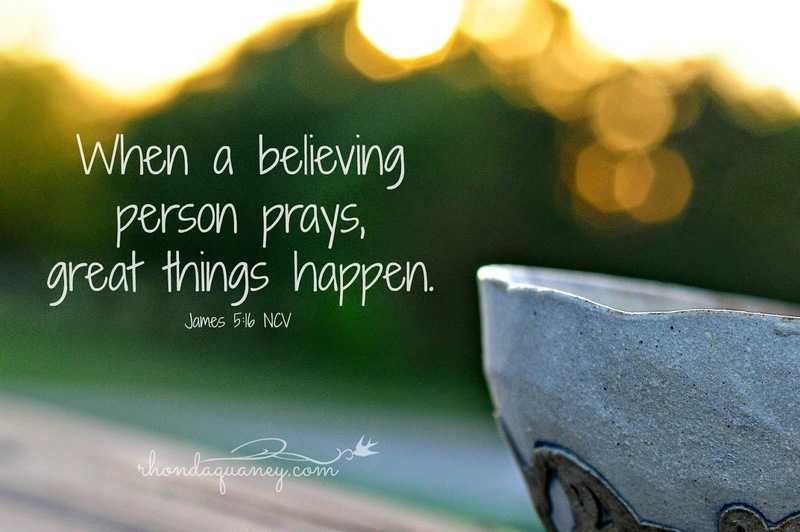 If I'm praying for something that seems too impossible to believe it could ever be different, I often pray like that father did, "I believe; help my unbelief!" 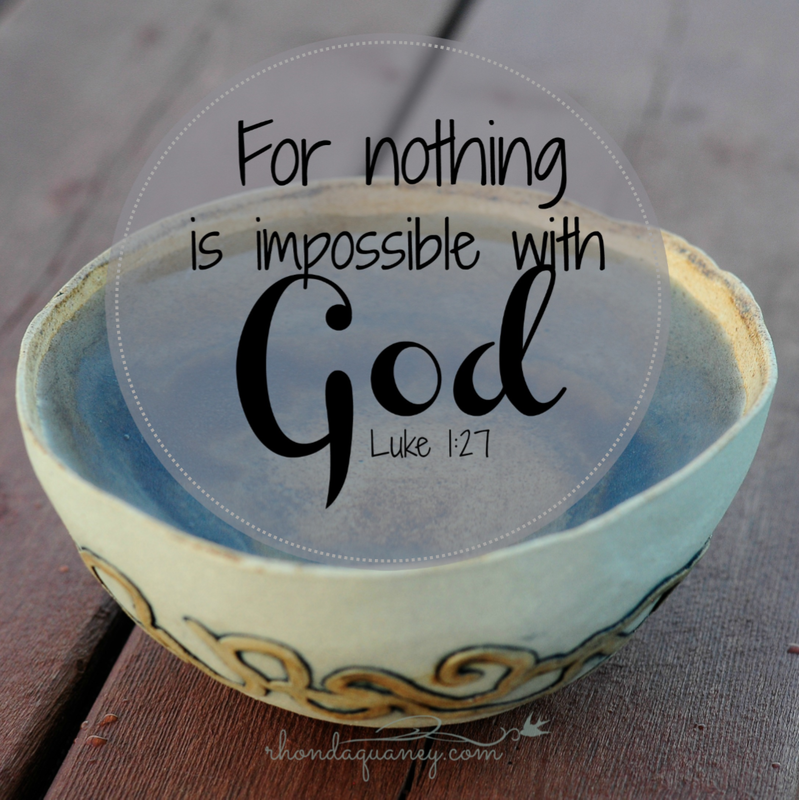 In that same story, Jesus says, "All things are possible for the one who believes." In one session of Women's Bible Study, I handed out cards with that verse and challenged us all to take that card and on the back write out prayers that seemed impossible to ever be answered. There is no magic formula. We intentionally thought through the most impossible things in our lives and wrote them out in a prayer. Some simply listed them. I don't even know that I prayed over mine so often, but there was something about handing them to God and with a verse of His promises, saying, "Here God, see what you can do with these requests, for Your glory." Many of those women saw their prayers answered. Can I challenge you, to keep one of these cards on hand, and list your impossible prayers on the back and date it? Trust me, the enemy of our souls, hates this. There are all sorts of ways to pray. Sometimes I sit in my favorite chair. I may start by reading scripture and praying it back to the Lord. Sometimes I'm silent. (Okay, me being silent is kind of rare.) I might listen to music and praise Him and pray as things come to mind. I pray as I walk, as I drive, as I eat, Sometimes I pray spread out over the ground and get as low as my body will allow and sometimes I dance. Sometimes I journal as I pray. Later, when I run across that journal entry and see that the prayer has been answered it increases my faith and encourages me to pray more. There is that verse about praying in secret and there are the verses where "two or more agree and pray, it will be done for them." My friend Cherri has taught me by her life a lot about prayer. Once when we were traveling together. She was going to speak that day at a conference for women, I thought she had gone downstairs to get breakfast. I was surprised to find her prostrate on the ground in a corner of the room praying for God to use her that day. That woman lives a powerful life, because she lives a prayerful life. Don't think I'm some expert in prayer. I am not. In fact, with all the things going on in the world and all the people who are hurting, and all the loved ones who I desire to impact their futures, I know that I need to pray more. All those years ago, I stood before that door of a tiny chapel, looking for God, The imagery is sweet and rich. The truth is that God was pursuing me all that time, all those years. 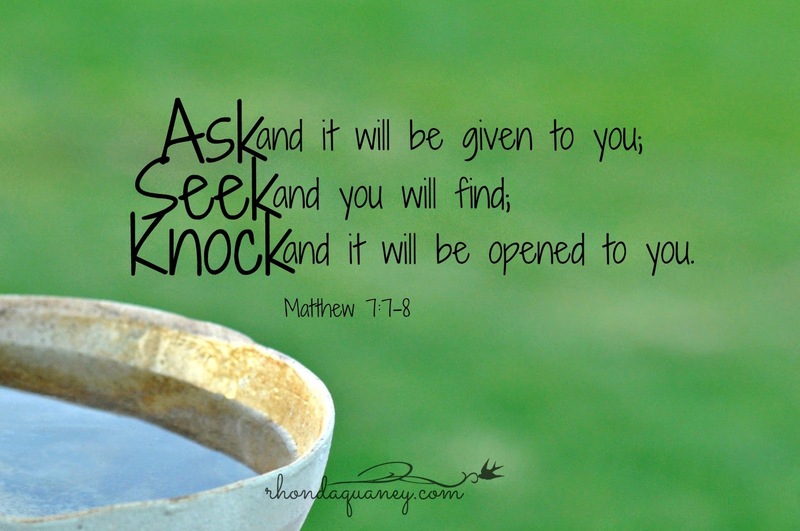 Jesus is the door and He says this; "For everyone who asks receives, and the one who seeks finds, and to the one who knocks it will be opened." God still answers prayers. Nothing is too hard for Him. 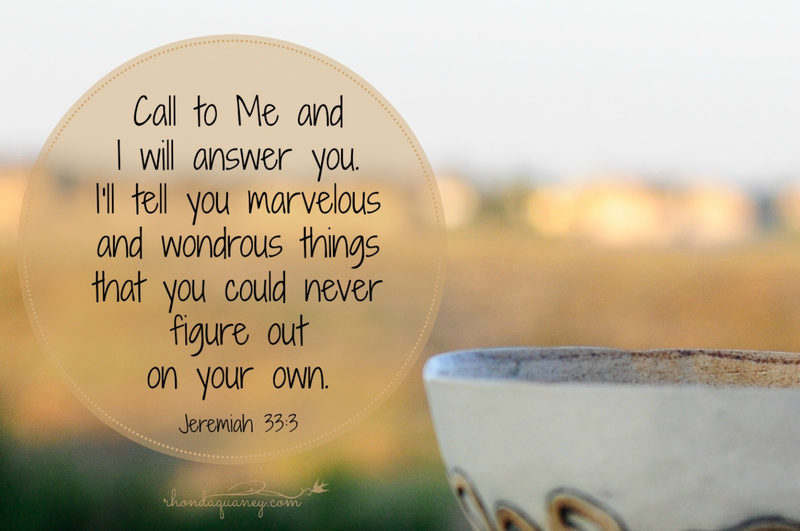 I don't know how He decides to answer each request, but I know that He works all things together for our good and for His glory. And my prayer today is that when we stand before God in Heaven some of those golden bowls will hold our prayers. 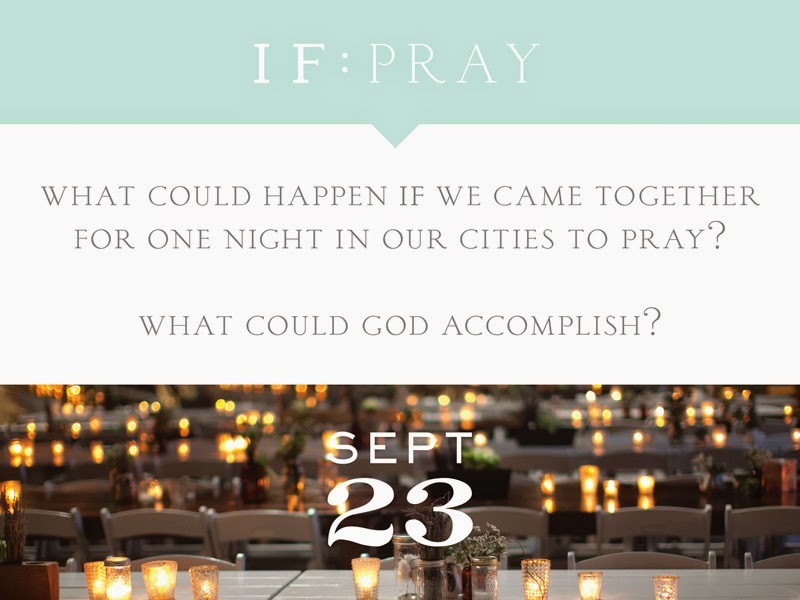 Tuesday September 23rd from 8-9 p.m to pray? 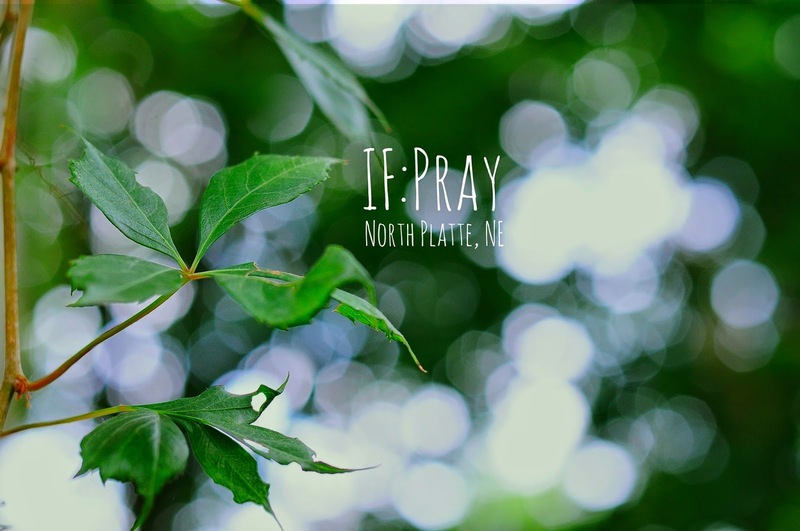 Those who God brings, will join other women around the globe to pray with IF:Pray. The link might help you find a place to connect in your part of the world. Personal message me with any questions.